My auntie recently made me some nutty apple bread and I was obsessed. It was so yummy. 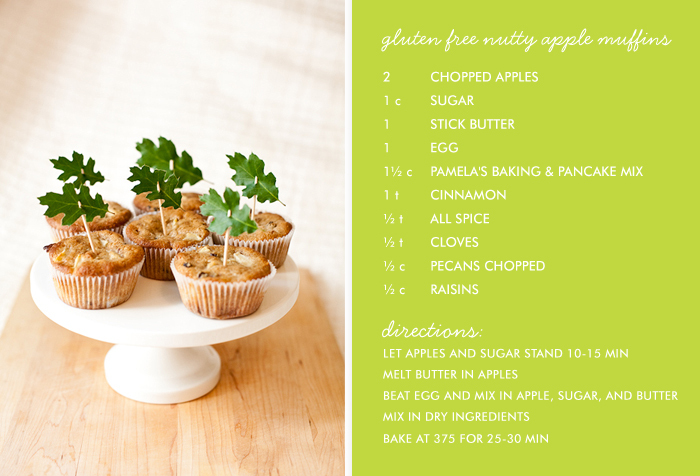 But I usually eat gluten free so I decided to modify the recipe to gluten free nutty apple muffins. I am not sure but I think they are even yummer. 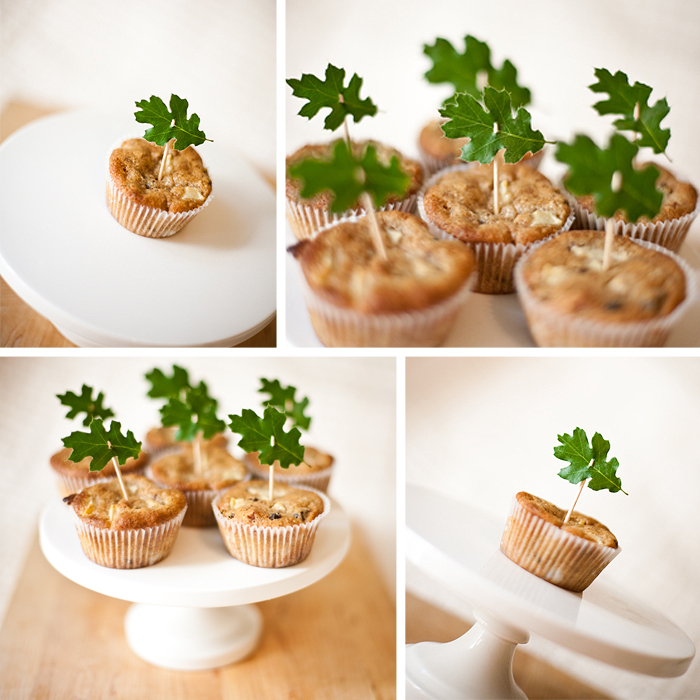 My husband said, "These are the best muffins I have ever tasted and who even likes muffins." Anyway you should try them out. 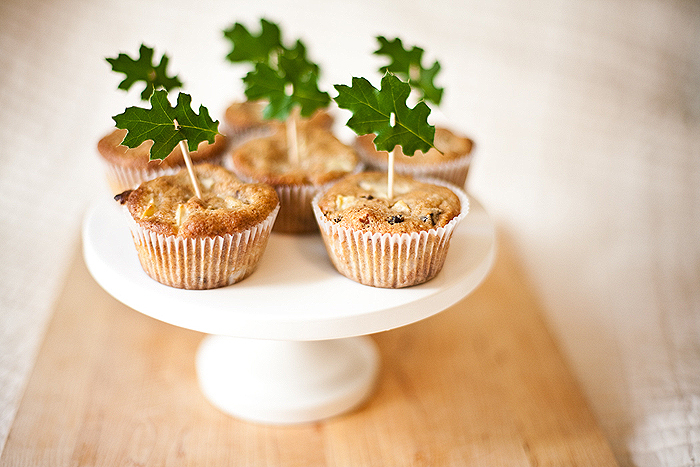 They aren't super pretty so I wanted to spice them up somehow, so I made these little oak leaf flags. I really love how they turn out. Make sure to pick the leave right before severing because they will dry out pretty fast. 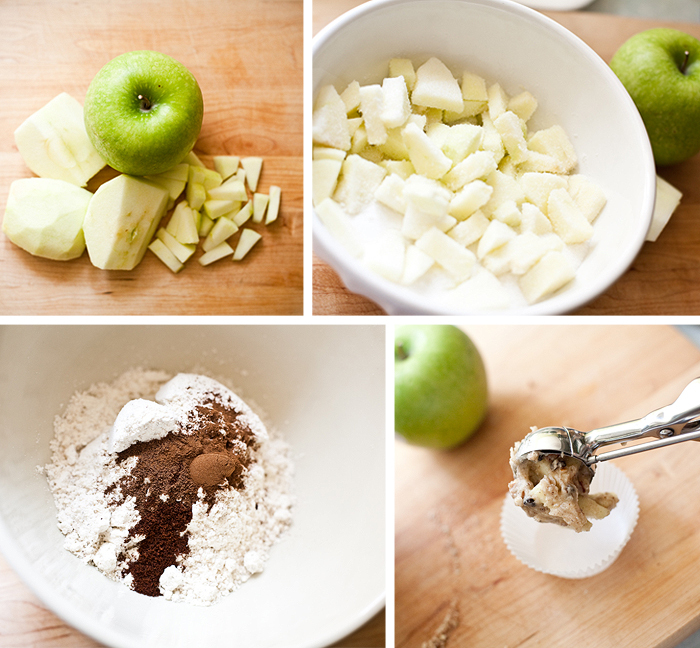 These are the BEST MUFFINS EVER! I need to buy some more baking mix.